A medical or athletic brace is a big help after an injury on or the playing field, but how do you keep it clean? Find out in this athletic trainer’s Q&A. 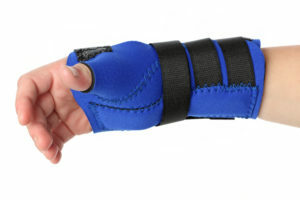 A medical or sports brace can be your best friend after an injury or on the playing field. However, the relationship can quickly turn sour if you don’t take steps to keep your brace(s) clean. Experienced athletic trainer Bob Collins answers questions about how to maintain braces properly to keep them smelling fresh. Q: Besides keeping odor away, why is it important to clean braces? A: Depending on what kind of brace you have, a medical or athletic brace can be rather costly. Maintaining and cleaning it will help extend its life. Also, when you don’t clean braces regularly they not only start to smell bad, but they also can sometimes cause health problems, such as folliculitis, ringworm and even staph infections. Q: Can leaving a brace on for too long create problems? A: Yes. Wearing a brace will increase your body temperature in that region, causing moisture to accumulate. Over time, this can cause skin deterioration. If you’re not being active, you should take off the brace to allow your skin and the brace to dry out. Of course, you should always follow the recommendations of the healthcare professional who prescribed the brace. Contact that person if you have questions about when you should or shouldn’t wear the brace. Q: How often should you clean a brace? A: It depends on the type of brace and the activities you engage in. If it’s a medical brace you wear daily, cleaning it every four to six days is fine, especially if you’re not very active in it. But if you’re gardening, exercising or engaging in some other activity that would get the brace especially dirty or sweaty, you should definitely clean it after that activity. You should always clean athletic braces every two to three days. Q: What is the proper way to clean a brace? A: Most braces come with a set of cleaning instructions that you should follow. For most of them, a mild soap or laundry detergent and cold water will do the trick. Allow the brace to air-dry; in most cases, it shouldn’t go in the clothes dryer. For athletic braces that get heavy use, you can also spray them lightly with disinfectant and allow them to air-dry. Q: Are there any natural brace-cleaning options? A: A mixture of baking soda and a small amount of vinegar will keep the brace clean and help control odors. Q: What other types of maintenance do braces need? A: It depends on what type of brace it is and how it’s designed. For example, hinged braces may need to have their screws tightened. Inspect straps regularly for wear and tear. Q: How do you know when it’s time for a new brace? A: Any time there’s tearing of straps or seams are coming undone, that’s a good indicator that the brace has reached the end of its life. Also, the fit of the brace can change, either due to wear and tear or due to changes in our bodies. If the brace has become too loose or too tight, that’s a sign that you should inspect it closely and possibly replace it. RELATED: Do You Know Your Options for Osteoarthritis?